Stealing a baby dragon is easier than you'd think. Especially if you've been put on community service at a drakonage, a shelter for stray dragons and close-to-hatching dragon eggs. Stealing the right dragon: that's tricky, as Ezekiel shortly discovers. Now, stuck with a hatchling he has no use for and no place to put, he must figure out a way out of this bind. It doesn't help that a private security force shows up to investigate the theft, and the drakeling needs to eat. What do dragons eat, anyway? Liria, Ez' childhood friend, would surely know. Too bad she's across the galaxy on a faraway world and Ez' only way to get to her is by somehow figuring out his dragon problem first. 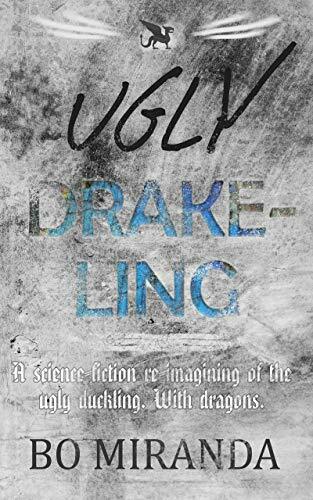 "Ugly Drakeling" is a fast-paced action/adventure story that seamlessly blends science-fiction and fantasy elements, and constitutes the first episode in Ezekiel's dragon adventures. The short story received an Honourable Mention in the "Writers of the Future"-contest's 2nd quarter 2018 (Volume 35). It's the perfect length to be devoured in a couple of hours.